I have a hummingbird and lunar moth that visit my garden every summer. These jewel-like phantoms dart among the foliage and blooms looking for nectar- the hummer by day and the moth by moon light. Their beauty reminds me of summer’s warmth. 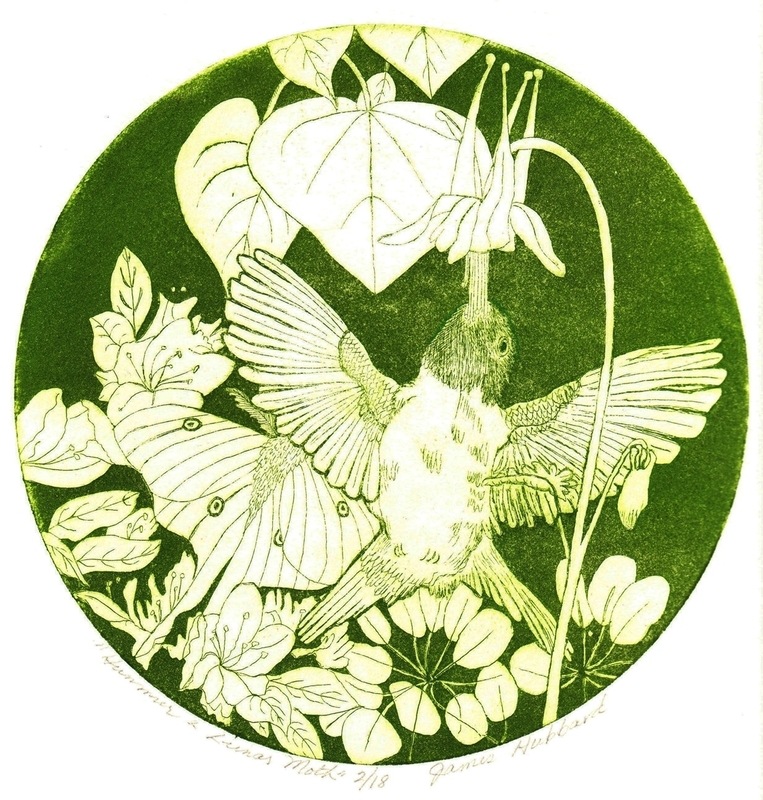 The rich lime green background was created by a special etching process called “aquatint”.